Just woke up from a dream. I was cycling home from somewhere, me and Mr.OrangeBrompton just parted going our separate ways. It was abit dark and the road was wet from the rain in London. Was cycling up alittle incline and there was a little roadworks up ahead but I didn't see there was one of those motorway rail guard things at the side of the road. I got caught on the wrong side of it just about heading into a big hole but I couldn't stop so I tried to "wheelie hop" over the guard rail but I completely misjudged it and landed right on the top of it on Bumble B. Next thing I know I'm pickng up Bumble B and he is in 2 complete bits. I picked him up and saw that I had snapped the rear triangle off right at the hinge point also breaking the main frame so both frames had major damage. Man I'm going to need abit of therapy at some point if I dream like that more often. 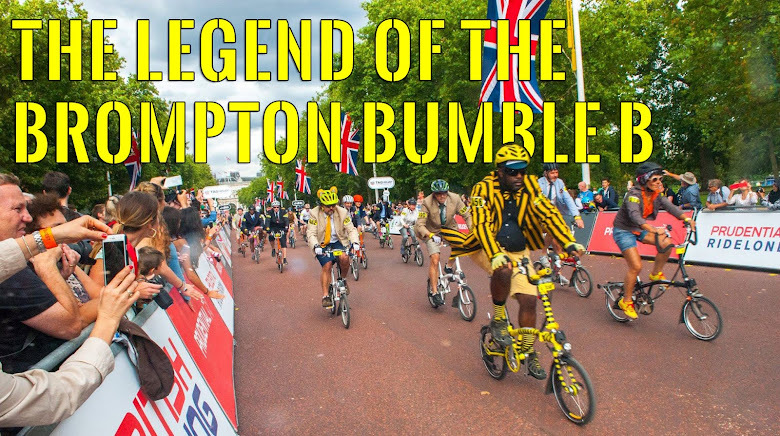 Have you ever had a weird dream about your Brompton? 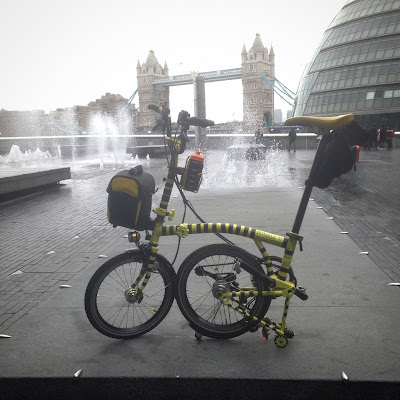 I have weird dreams all the time; very entertaining they are too, but none yet about my Brompton. It is because you care deeply about yours that you dream about it. I care about mine too and if I ever do dream about mine, I will let you know! I had a dream about 2 nights ago about going down a steep hill and suddenly the surface got really bad and I could not stop, and there were large sharp rocks in the road so both tyres got shredded! I think I worry about getting punctures too much LOL!